We take it all back: maybe it wasn’t that bad . 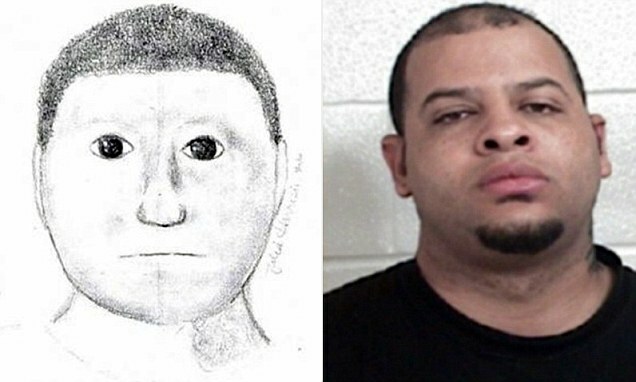 Last week, in common with other news outlets, we may have suggested that this might be the worst sketch of a police suspect in living memory. While the sketch of a robbery suspect – a composite from two witnesses – looked more like a Sesame Street character with a degenerative illness than a real human, the wanted man has now been arrested. Glenn Rundles, 32, was arrested last Tuesday for the aggravated robbery of two women on January 16 in Texas. The local sheriff said the sketch directly helped to apprehend him, not least due to the heightened interested in the case. Rundles has also been arrested on suspicion of indecent exposure, burglary, criminal mischief. He's being held at Lamar County Jail, with bonds of $ 135,000, and investigations are on-going. Whether this interest was generated specifically because the drawing was so bad the lawmen didn't say. So, apologies to the artist behind this crime-busting artwork. We take it all back.